Hudson's Pretty Woman picture by Howard Wright. The chairman of the organising committee for the 34th Club Marine Pittwater to Coffs Harbour race and skipper of the multihull record holder are the first entries for the New Year offshore event starting January 2, 2015 off Barrenjoey Headland. Pretty Woman’s steady crew includes a couple of new recruits from the RPAYC’s youth development program. Setting a new multihull record of 17hrs 3mins 5secs for the 226nm course back in January this year was on the cards for Sean Langman’s Orma 60 Team Australia given it was the largest by far racing in the inaugural multihull division. He’s the first multihull entry for the 2015 Club Marine Pittwater to Coffs race and expects to be part of a larger fleet. The RPAYC is also doing its part by making it easier for owners to enter the 2015 Category 2 race with simplified paperwork and the decision not to run radio position reports, which means HF radios aren’t required. Previously this has been a financial barrier to a lot of people the club realises. A yacht’s position will be taken by the race committee at two hourly intervals using the proven Yellow Brick yacht tracker system. Entrants without HF radios installed will be required to carry satellite phones for the duration of the race for use in receiving communications from the race committee and as their primary emergency communications. A keen Rob Hanna and his Geelong based TP52 Shogun V was first cab off the rank when entries opened for the 2015 Festival of Sails. He was pipped by Hudson for that honour in the annual bluewater race to Coffs Harbour, but still one of the earliest applicants for what will be his and the boat’s first time north with the fleet post-Christmas. The monohull line honours winner of this year’s race, Syd Fischer’s Ragamuffin, is the same design as Shogun V. Hanna’s grand prix 52-footer is making a comeback to the sport after a time-out when the Victorian yachtsman considered a new purchase then changed his mind and installed a replacement rig for the snapped mast that was jettisoned overboard for safety reasons during the final stage of last year’s TP52 Southern Cross Cup hosted by the RPAYC. 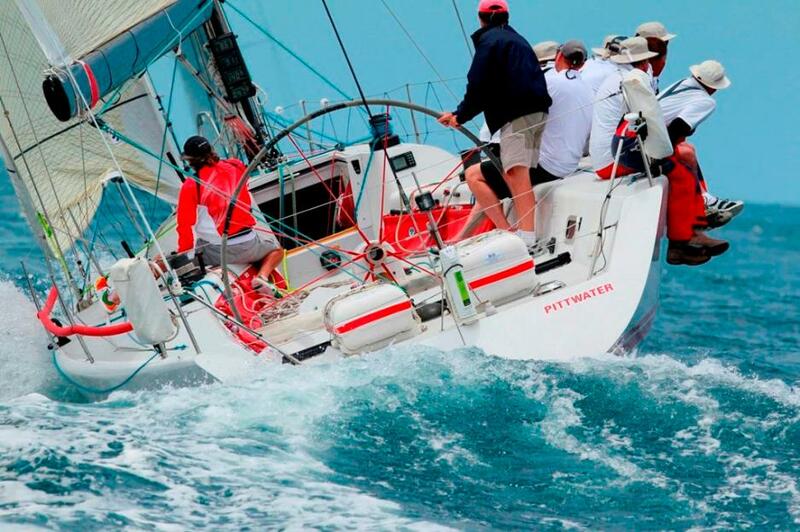 The 11 year monohull record for the Pittwater to Coffs race is held by Bob Oatley’s Wild Oats IX, set in 2003 in a time of 18 hours 29 minutes and 14 seconds. 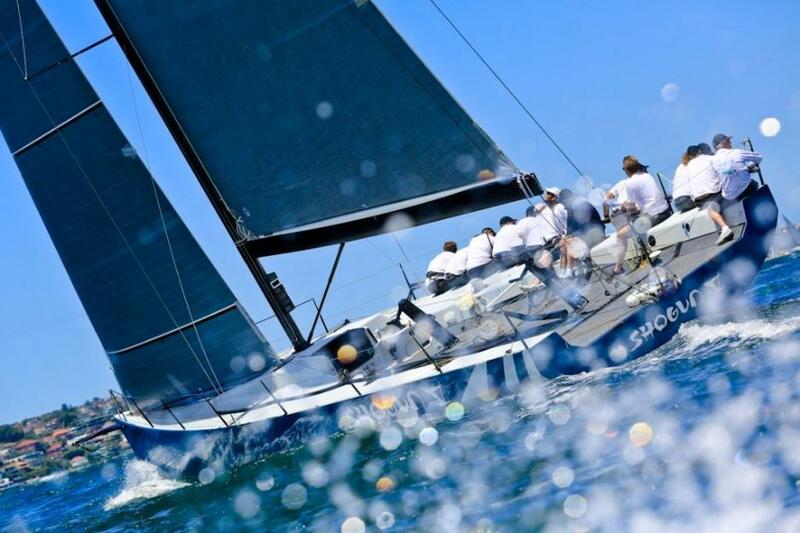 Applications close Friday December 5, 2014.The RPAYC anticipates a fleet of up to 50 yachts on the start line off Barrenjoey Headland on Friday January 2, 2015 for the traditional 1pm start. Club Marine, Australia’s largest provider of pleasure craft insurance, is proud to be the title sponsor of the 34th Pittwater to Coffs Harbour Yacht Race for the third year. Shogun V by Saltwater Images.